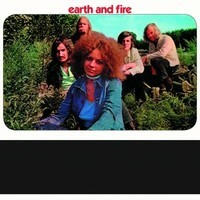 (Earth & Fire) is a pop group which was formed in the Netherlands by Chris & galley Rudoko ª star, et al. It gained popularity in the 1970s, Earth and Fire was ranked number at the top of the charts of pop music in the Netherlands. Successful in the Netherlands, but their music is not well known in the United States and the United Kingdom. Greatest hits international their is "Weekend", I won the first place in the charts of Portugal Netherlands, Switzerland, Germany, and Denmark,.